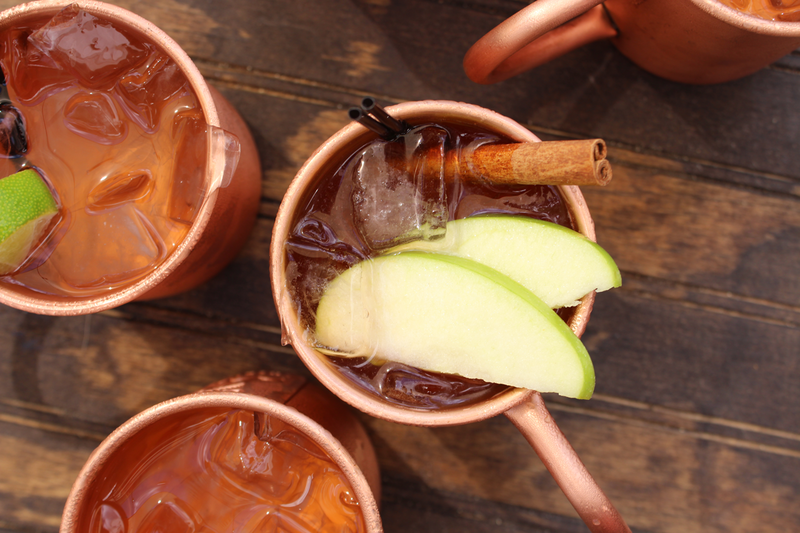 This autumnal take on the Moscow mule is ideal for pairing with appetizers—or for having nearby while you prep your Thanksgiving feast. The revamped flavor combo is as fall as it gets. Fill copper mug with ice. Add Jameson and apple juice. Fill with ginger beer and gently stir with cinnamon stick. Garnish with apple slices. Drink up!